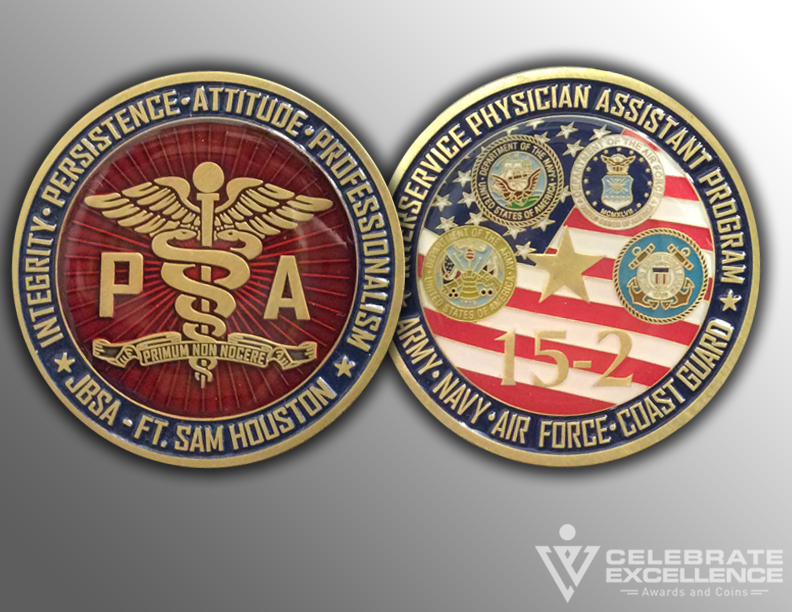 We specialize in Air Force challenge coins! 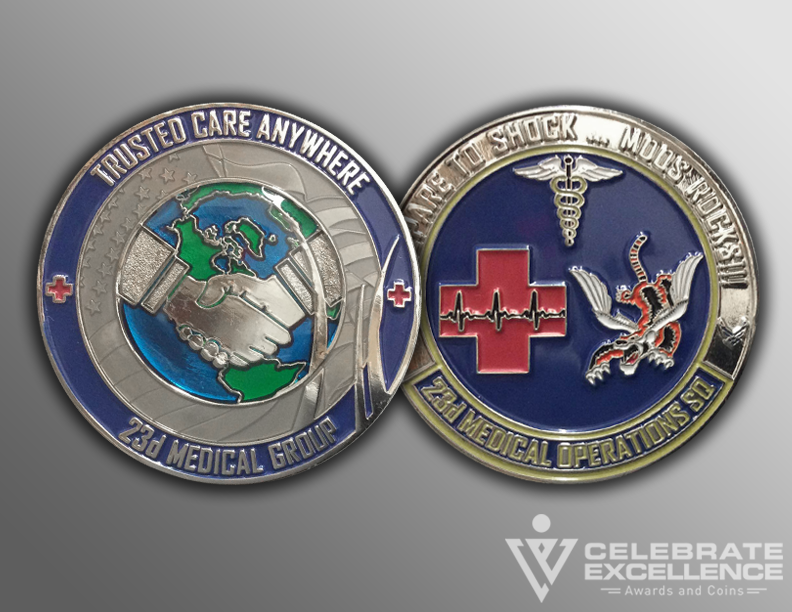 In fact – we are a veteran-owned business. 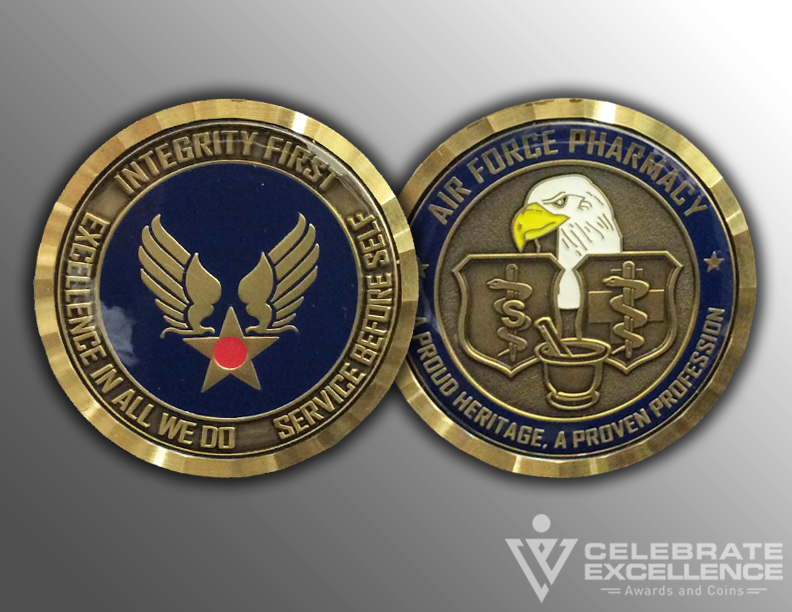 Since 1993, Celebrate Excellence has provided both challenge coins and awards to the United States Air Force. 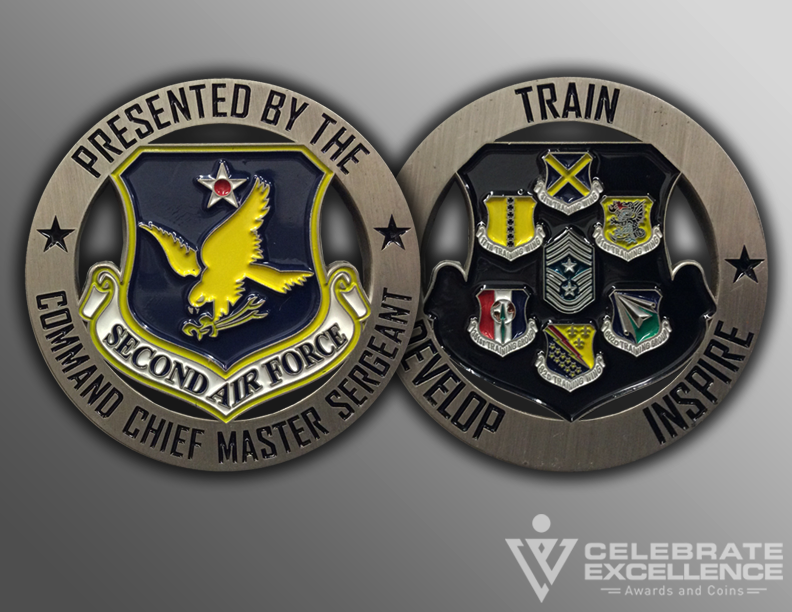 And in 2018, SMSgt (ret) Brian Posten, a 23 year USAF veteran, purchased Celebrate Excellence. 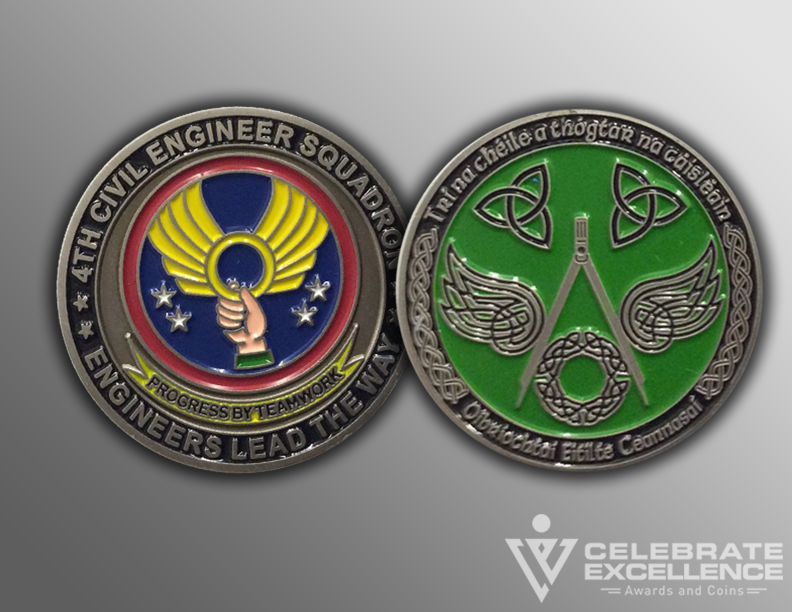 We are proud to be the highest rated Air Force challenge coin company in the nation. 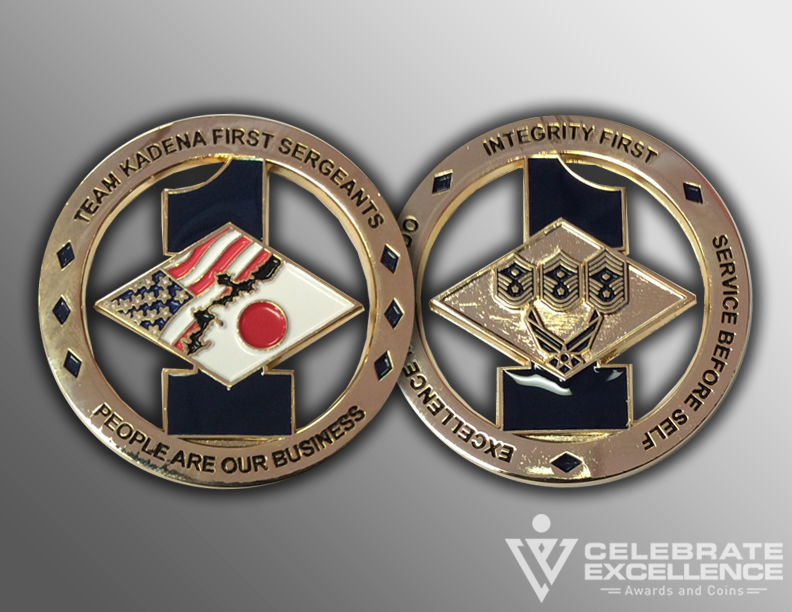 Celebrate Excellence is the only national challenge coin company to have received and maintain an A+ rating from the Better Business Bureau (www.bbb.org). We have an All A rating from Angie’s List (www.angieslist.com). And we have the most 5 star ratings from Google (www.google.com)! 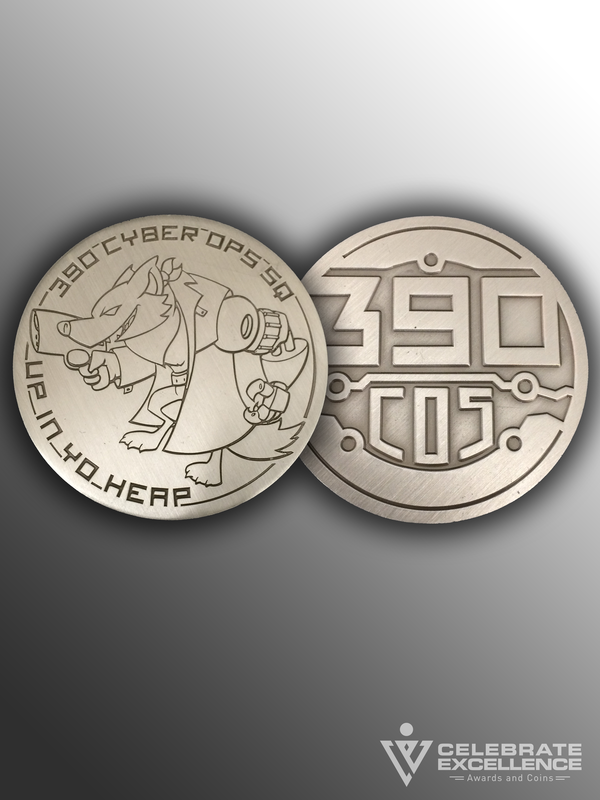 Over 360 of our customers have left TESTIMONIALS online. 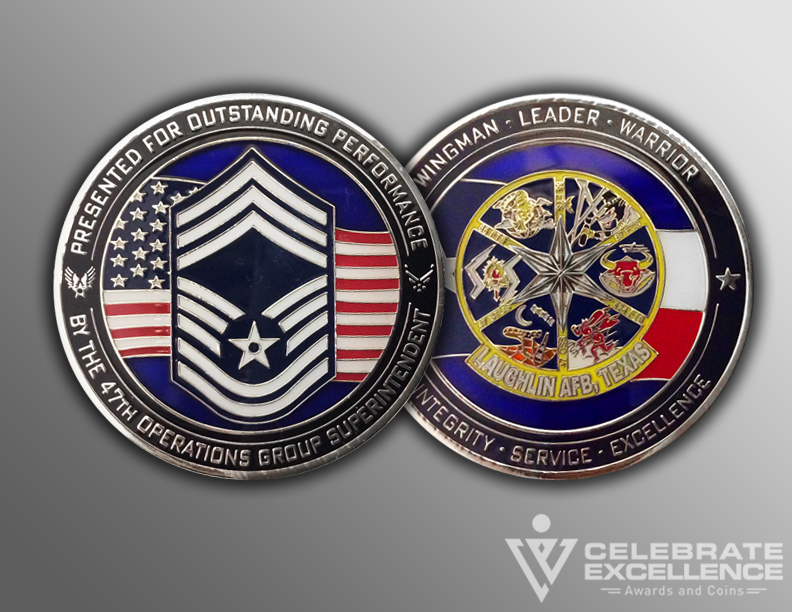 While we have an online presence, we are not simply an internet challenge coin company. 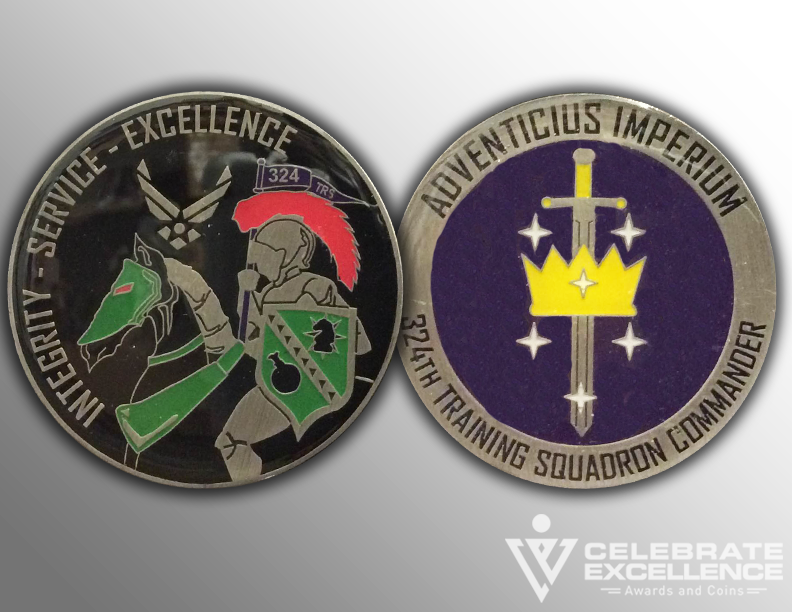 We maintain a 1700 sq showroom and coin design center in Military City USA – San Antonio, TX. 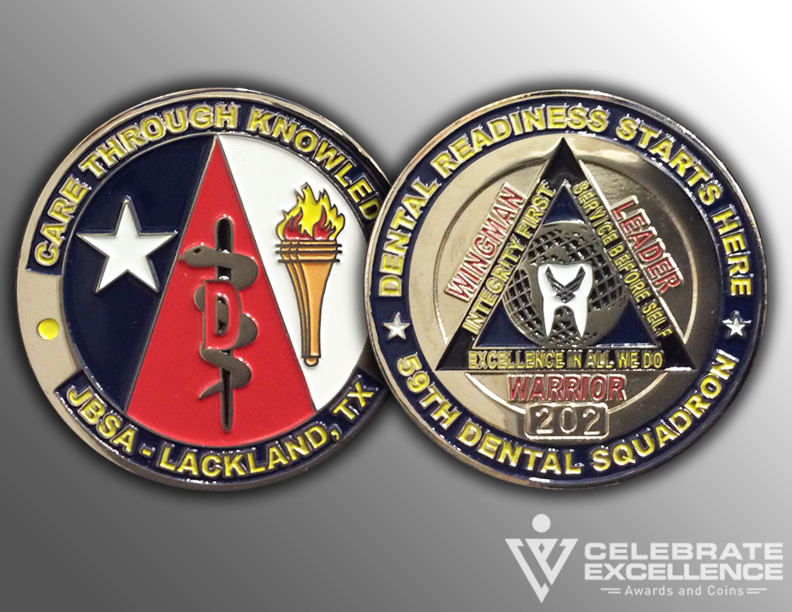 Our first challenge coin customers were based at JBSA – Lackland AFB. 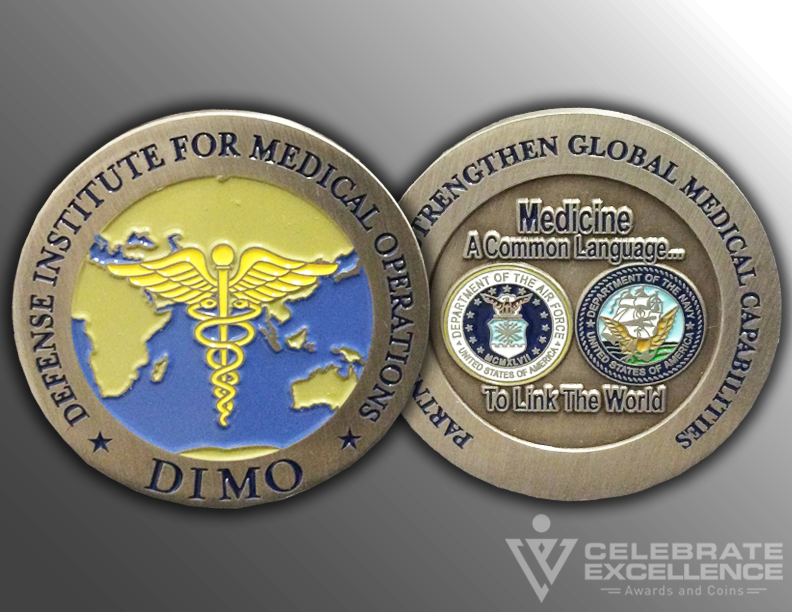 We have now shipped coins to almost every Air Force installation both domestically and internationally. 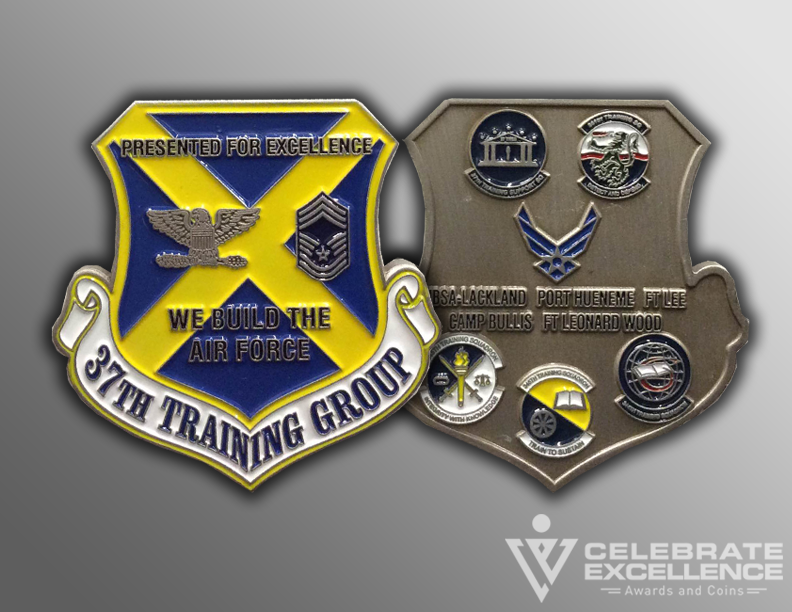 We are active members of our community – belonging to the Greater San Antonio Chamber of Commerce and service on its Military Affairs Committee and Senior Enlisted Advisory Council (www.sachamber.org). 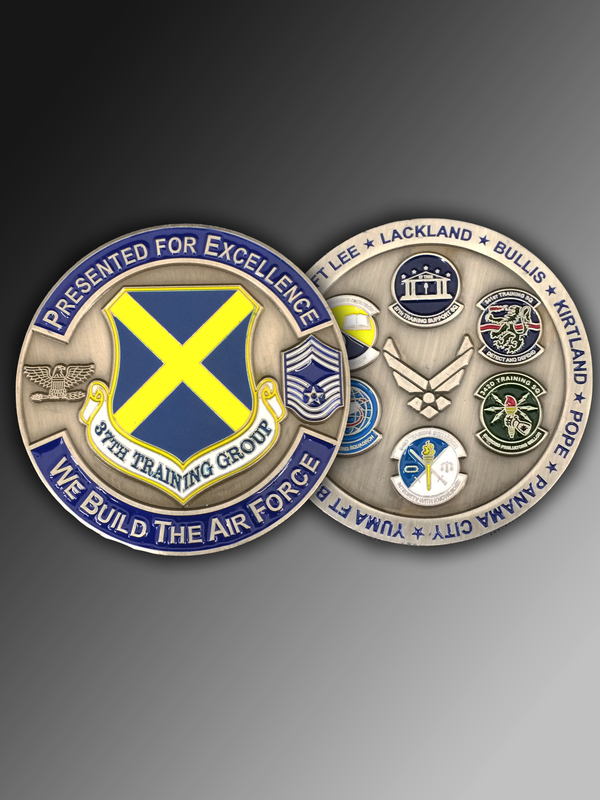 When you are looking for an Air Force challenge coin — why not use a company that specializes in working with the USAF and is an active business partner of the Air Force? 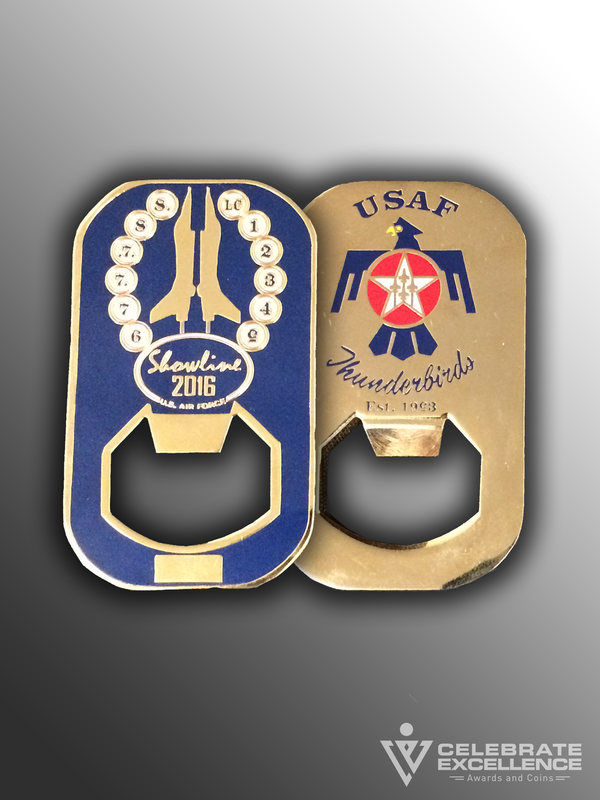 We can help you with a Commander’s coin, squadron coin, Wing or Group coin, PME or Booster Club coin. 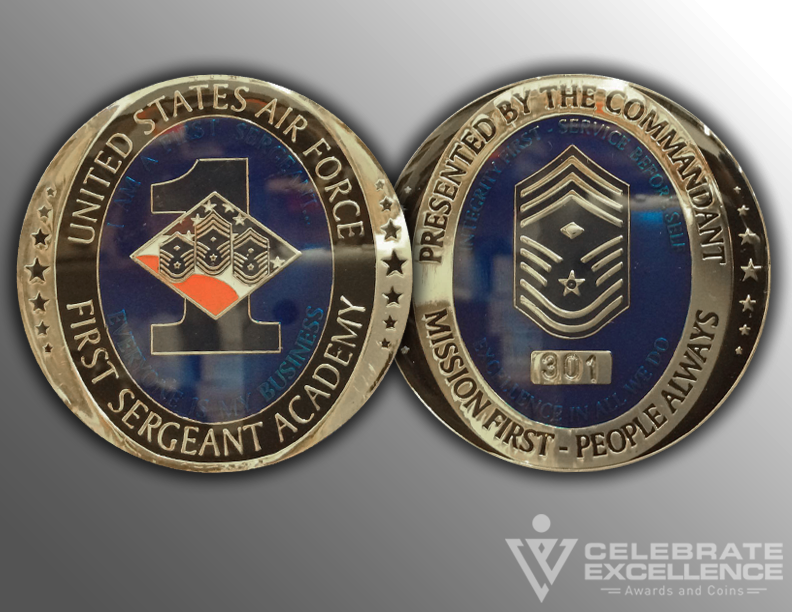 You can see view our Air Force challenge coins by clicking on any coin photo on this page. 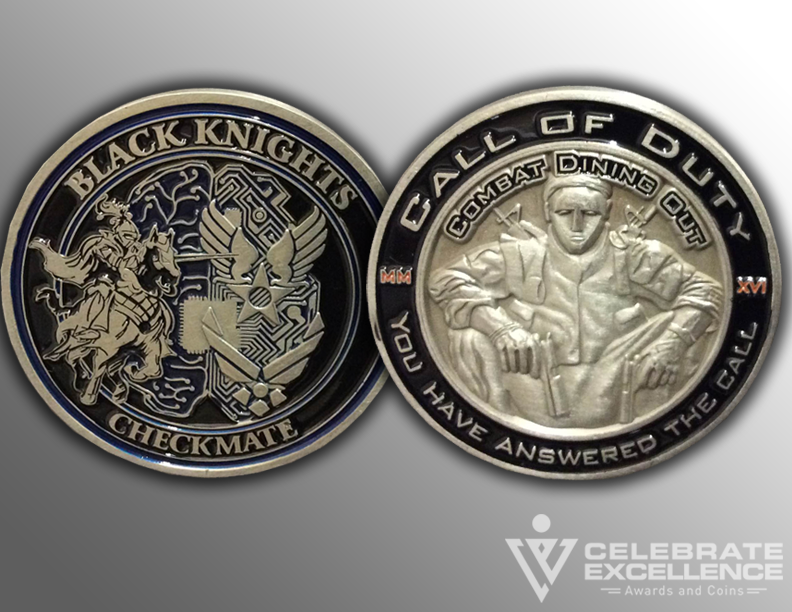 You can also get a free no-obligation quote for your coins. 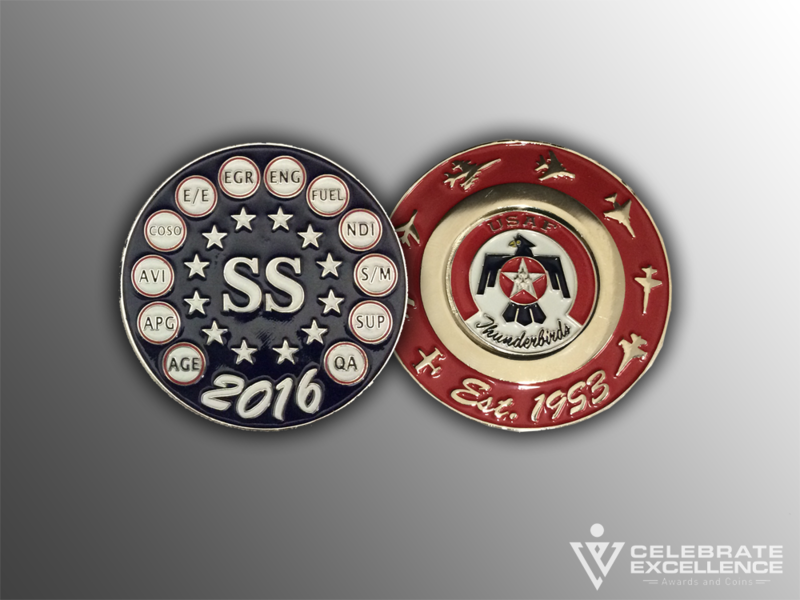 We are a cutting-edge coin manufacturer — offering spinners, gyro coins, spinning top coins, coins with special matte paints and glow-in-the-dark paints. 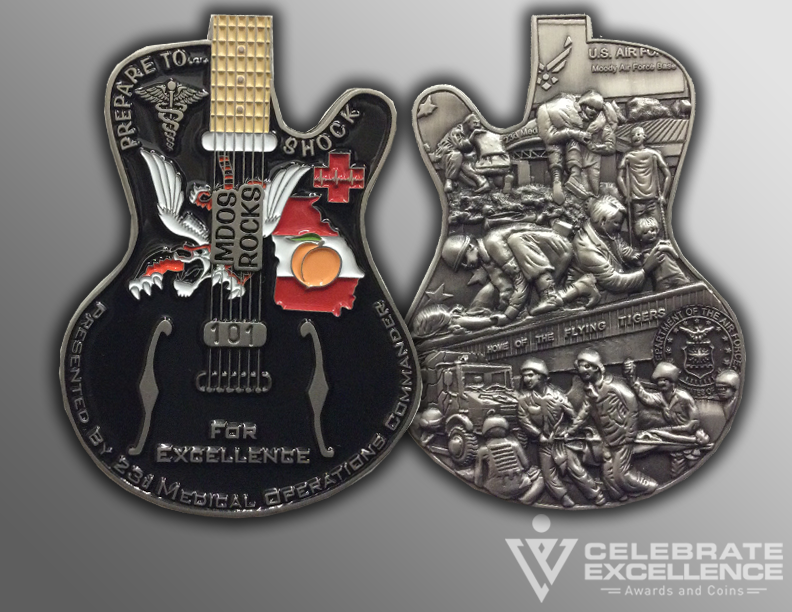 We have many textures, finishes and translucent paints offered at no additional charge. 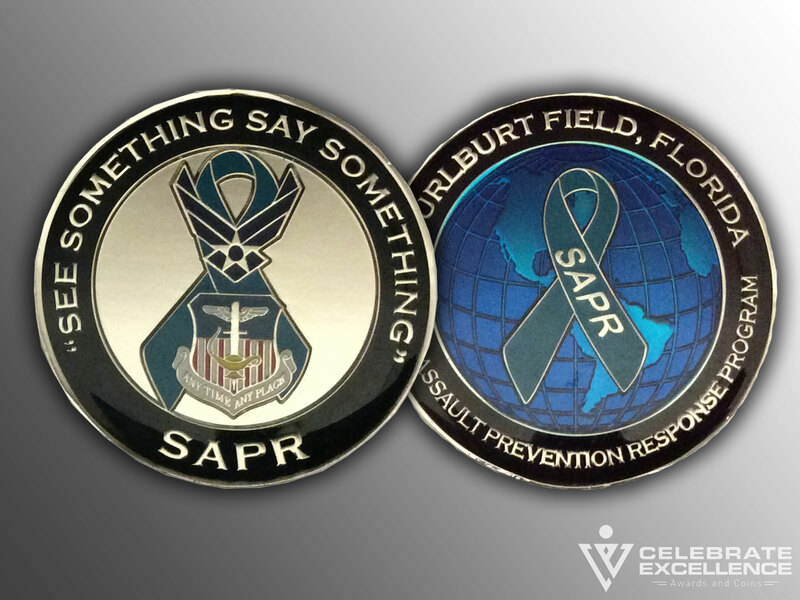 By clicking on any of the photos above you can view our Air Force challenge coins today. 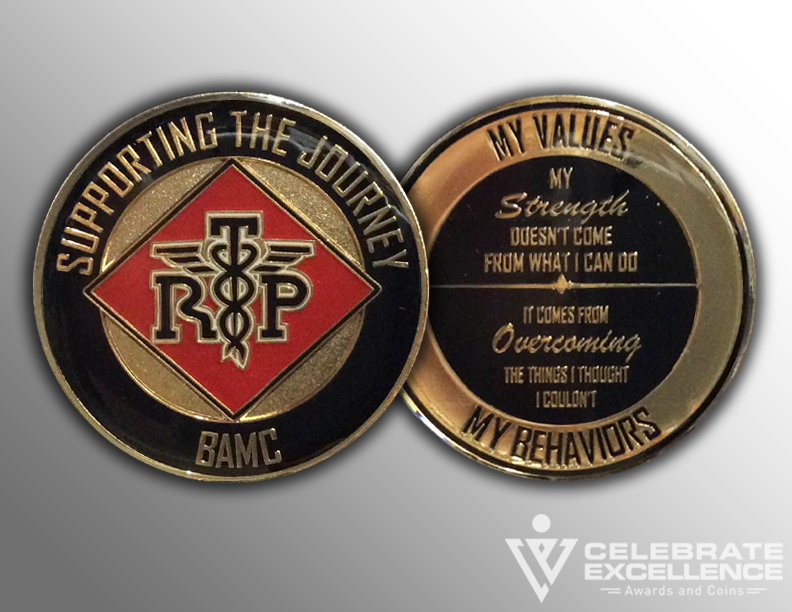 Or click HERE to read the testimonials we have from our customers — who all agree — Celebrate Excellence is the place to go when you need your coins!